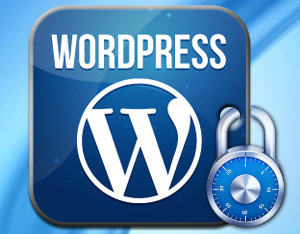 Stay secure with your Wordpress Setup - Pro Web Concepts, Inc.
We know from experience that having your website hacked is not fun. That’s why keeping your WordPress setups secure on regular basis has become essentially important. Your website should be carefully optimized to be as secure as possible. There are, however, still a handful of potential security risks, but taking few security measures can make wonders of differences. With that in mind, here are a few things you can do to improve your WordPress security. You should choose a hosting with proper research and select a company with a good track record of strong security. You should always keep everything up to date in your WordPress setup. Every new release contains patches and fixes that address potential vulnerabilities. Most of the hackers target older versions intentionally with known security lapses. Keep everything including plugins, themes. Don’t ignore this very important task with your WordPress site in regular basis. 10% of the hacked websites are down because of the weak passwords. Don’t assign common passwords which are generally a habit among the developers. Instruct your developers not to follow the habit to keep weak passwords. If you always use “admin” as username and you have a weak password, your website is very vulnerable to a malicious attack. There are known scripts running on internet with repeated login attempts using username as “admin”. After WordPress 3.0, now default usernames are no more “admin” as now you can choose your username at the time of the setup. Avoid free unknown themes and plugins. Prefer to choose them from WordPress depository. There is no need to emphasize the importance of making regular backups of your website. This is something that many people put off until it’s too late. Even with the best security measures at your disposal, you never know when something unexpected could happen that might leave your site open to an attack. If that happens you want to make sure all of your content is safely backed up, so that you can easily restore your site to its former glory. One recommended backup system mostly used is BackupBuddy. There are tons of plugins you can use to tighten your site’s security and reduce the likelihood of being hacked. It is always recommended to use the security plugins to add extra bit to the security of the website. This may all sound pretty overwhelming if you’re a beginner at WordPress but it’s just important to discuss the topic of security regularly. You don’t have to do everything on this list (although it certainly wouldn’t hurt). Even if you just remove the ‘admin’ username and start using stronger passwords, your site will be that little bit safer.